When you apply for an FHA mortgage your lender will pull your credit report to determine what kind of credit patterns you have. Lenders want to see responsible use of credit and know that the borrower is an acceptable credit risk. And it’s not just about what your FICO scores say. August 23, 2018 - When you apply for an FHA mortgage, whether it’s a cash-out refinance loan or a new purchase home loan, your lender will pull your credit report to determine what kind of credit patterns you have; lenders want to see responsible use of credit and know that the borrower is an acceptable credit risk. But if you haven’t looked at your credit report before your lender does, you may be setting yourself up for trouble getting the loan approved. And it’s not just about what your FICO scores say about your credit habits, it’s also about not letting your lender see a credit report full of errors or inaccurate information. You should pull your credit report well in advance of your home loan to make sure it does not reflect evidence of identity theft, but also to make sure it has YOUR information and not someone else’s credit data with a name or Social Security Number similar to yours. The U.S. government’s consumer watchdog agency, The Consumer Financial Protection Bureau, advises borrowers to check even the simplest details of the credit report to make sure full names and Social Security Numbers are accurate. Make sure your full name is spelled properly and that your middle name or middle initial is accurate. You should also check the credit report to make sure your last few addresses are accurately noted in the file. Do you see an address you don’t remember using? Or an erroneous version of a previous address? You will need to have those issues corrected to avoid delays in your home loan or refinance loan processing. Do you see information about you in the “public record” section that doesn’t apply to you? In accurate data here will need to be corrected, too. Is your current marital status accurate? This can, believe it or not, affect your home loan application. Especially in states where community property laws affect home loan transactions. You may not be married any longer and have paperwork to show that legal status, but if your credit report shows you as still being married, your lender will have to document your official legal status, again with the potential to slow down your loan paperwork. Does your credit report show inaccurate data about the status of any of your old or current credit accounts? Check the report to make sure you don’t have closed accounts listed as still active, and that the balances on those accounts are not listed as being higher than they actually are. Even the status of a borrower as a co-signer on someone else’s loan, if inaccurate, could work against you for the purpose of loan approval and/or getting the most competitive interest rates. 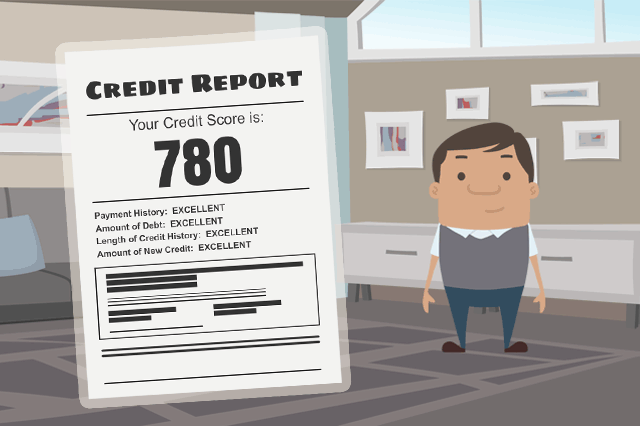 The accuracy of your credit report is very important-check your reports in the months leading up to your home loan or refinance loan to make sure your lender sees only the things that actually apply to you.